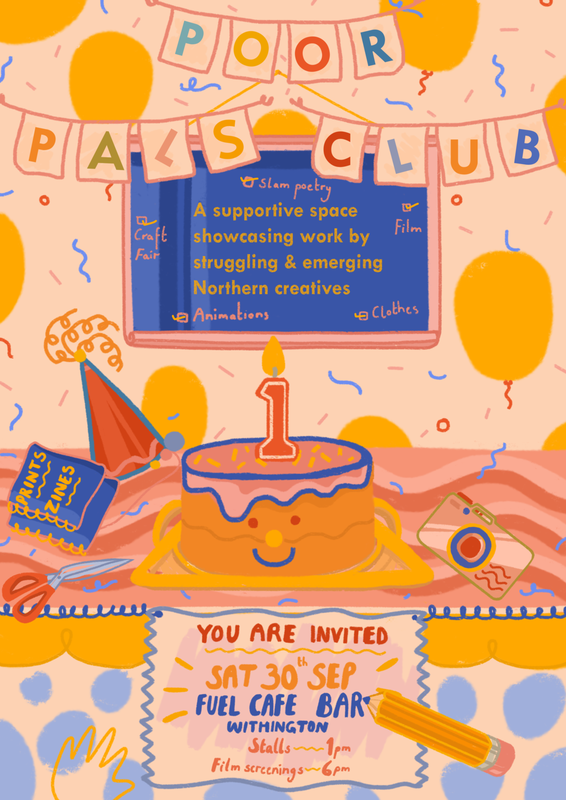 Poor Pals Club is a space and bi-annual community based event that supports and showcases work of Northern creatives. With a DIY ethos, the event welcomes writers, artists, animators, illustrators, film makers, musicians, independent retailers - a chance for all & any struggling, emerging creatives to take part, gain confidence, engage with Manchester's DIY community and showcase their work. The event consists of a print + zine fair, free workshops, slam poetry/book readings and animation/independent film screenings.